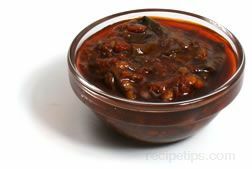 A paste made from crushed roasted chiles, which is used as a seasoning in many Thai sauces, soups, stir-fried foods, rice dishes, and a various array of Asian recipes. 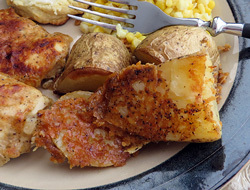 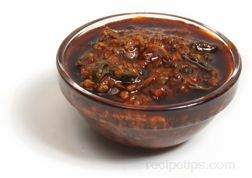 In addition to chiles, this paste may also include ingredients such as garlic, onion, dried shrimp, anchovy seasoning or extract, tamarind, peanuts, and soybean oil. 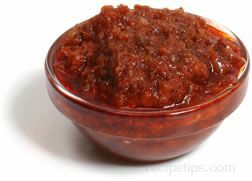 Unopened jars of this Paste may be stored at room temperature but once it is opened, it should be refrigerated. 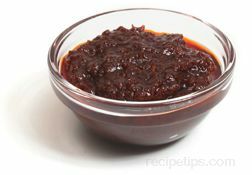 Also known as nam prik pao, Roasted Chile Paste is readily available in the Asian foods section of food stores or in Asian food markets.